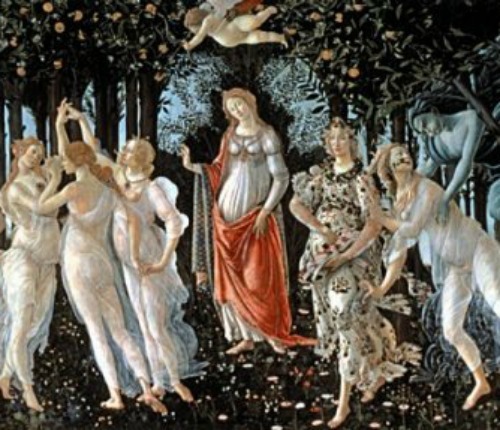 A guided tour of Florence museums is a fantastic way of seeing the city’s art venues. After all, you don’t just want to feast your eyes on renaissance masterpieces, you probably want to know something about them too! ‘Who are those graceful girls in see-through robes and why are they dancing around?’ or ‘Who’s that devious looking dark character lurking in the trees?’. If you have an expert guide with you, question answered! Another huge advantage of a museum tour is that you skip the lines entirely (lines can be LONG - even hours...) - that's right, no waiting whatsoever to get in! This tour covers the most important museums in one day. But you don't just stay indoors all day! 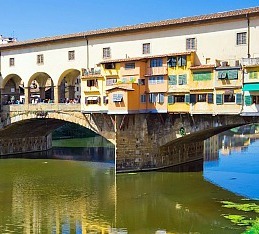 There's also a short walking tour to see the classic stops of Florence. Some highlights are the Ponte Vecchio and the Duomo, the Florence cathedral. Then you visit the Accademia Gallery, to see the original Statue of David by Michelangelo. David alone is worth the ticket! After a break, you meet up again to go to the Uffizi Gallery with paintings by Michelangelo, Botticelli, Leonardo da Vinci, Giotto, Rembrandt and many others - warning, you might overdose on beauty on this tour! In this tour you cover the two main museums most visitors go to. First the Accademia Gallery, home to Michelangelo's David. Your guide will tell you all you want to know about the sculpture often referred to as the most magnificent piece of artwork ever crafted by man - you'll see why! 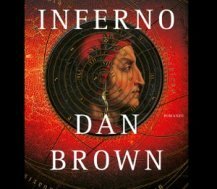 After a break, the tour starts up again at the Uffizi Gallery. The Gallery is huge and can be a lot to take in for sure. But don't worry! 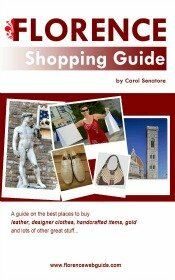 Your guide focuses on the most important and well-known pieces. The Uffizi is the main museum in Florence and is Italy’s most visited art house. Did you know that this is also one of the first museums ever to be set up in Europe? 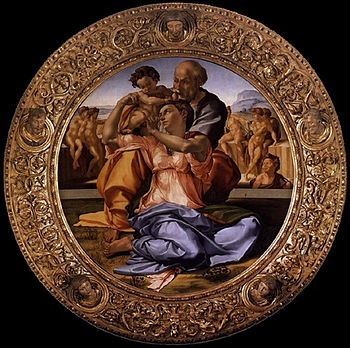 See masterpieces by Michelangelo, Leonardo, Botticelli, Giotto, Caravaggio, Rembrandt, Rubens …..the list is just endless! Lines to get in can be extremely long though. This tour lets you skip the line entirely – no waiting at all. There's really too much to see at the museum in one visit, so your guide will dedicate your time to the most important pieces - you'll come out a mini-expert on renaissance painting! This guided tour of Florence museums includes one of the city’s secret treasures: the Vasari Corridor. First you visit the Uffizi, with the largest collection of renaissance art to be found in one place. Your guide will help you put it all into context and will show you the most important pieces at the gallery. 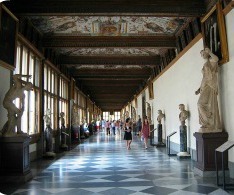 Then you move on to the Vasari Corridor, an extension of the Uffizi. The Corridor is hardly ever open to the public, and on the rare occasions that it is, visits are quite expensive, over €50! So this all-inclusive tour with the Uffizi Gallery, the Vasari Corridor and your own expert guide, all with skipping the line fast entry is a great deal! This tour is perfect for people who have already seen the main museums in Florence and want to get a peek at lesser-known Florence treasures (of which there are many....but that's another story!). 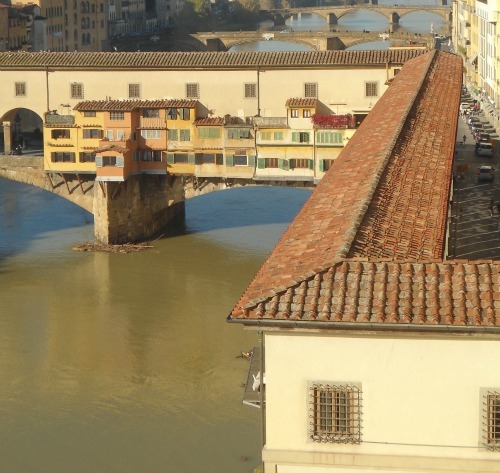 This tour gives you a chance get a bird's eye view over Florence from the Vasari Corridor - which spans the Ponte Vecchio crossing the Arno river and lets you peer out over Florence from above. The Corridor leads out into Boboli Gardens, an enormous woodsy park behind the walls of the Pitti Palace. I bet you never knew Florence could be so green! 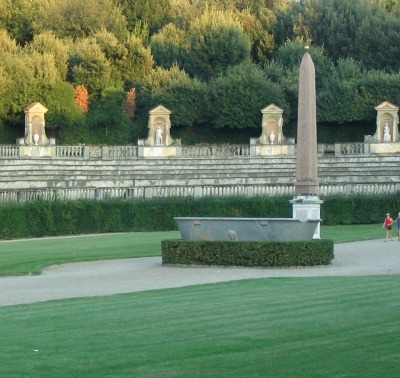 Boboli is full of statues – some of Greek and Roman antiquity.